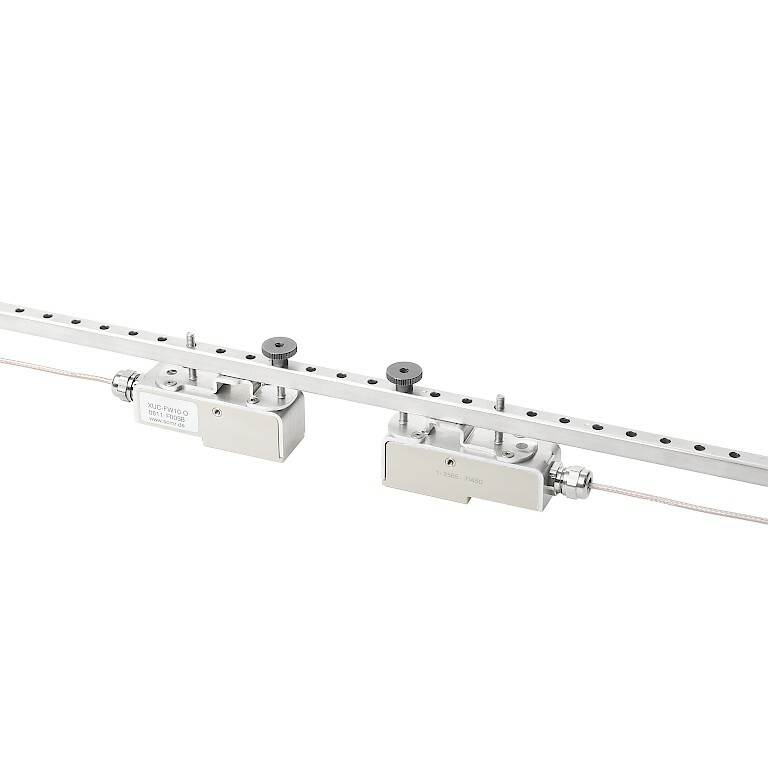 The DeltaWave C portable clamp on energy and flow meter is a completely mobile and fully portable ultra-sonic flow meter and energy meter in one box. 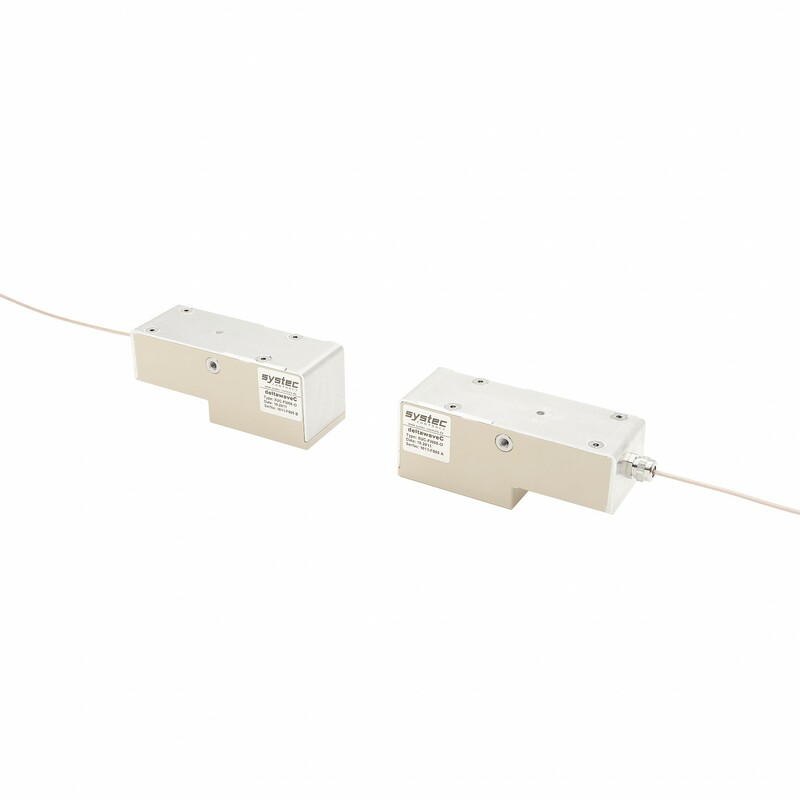 The Deltawave is available as a complete kit to suit your non-contacting flow and energy measurement requirements. 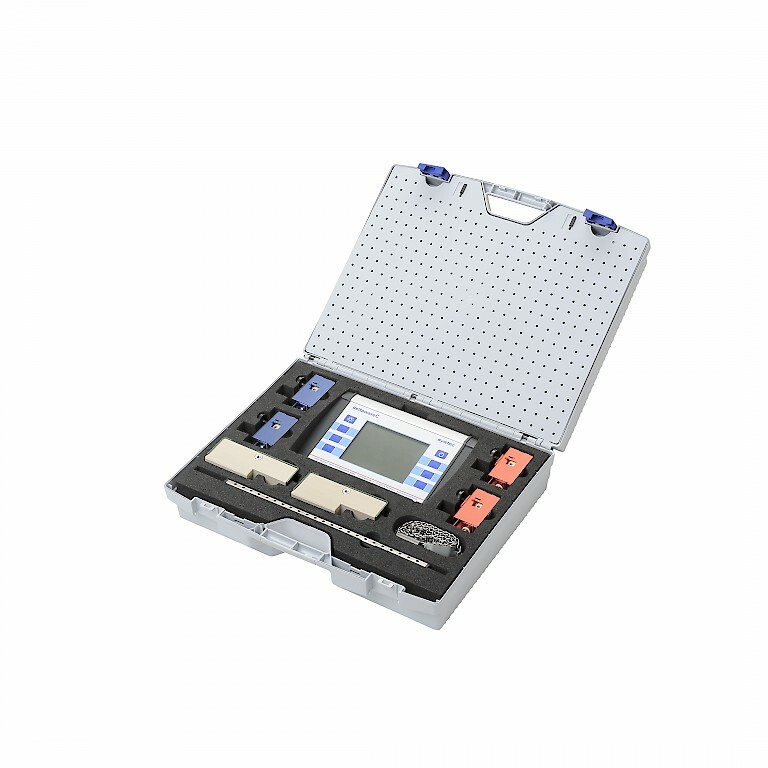 As standard the kit comes complete with the portable ultra-sonic clamp on energy meter which is battery powered and has a large push button QVGA graphical display. 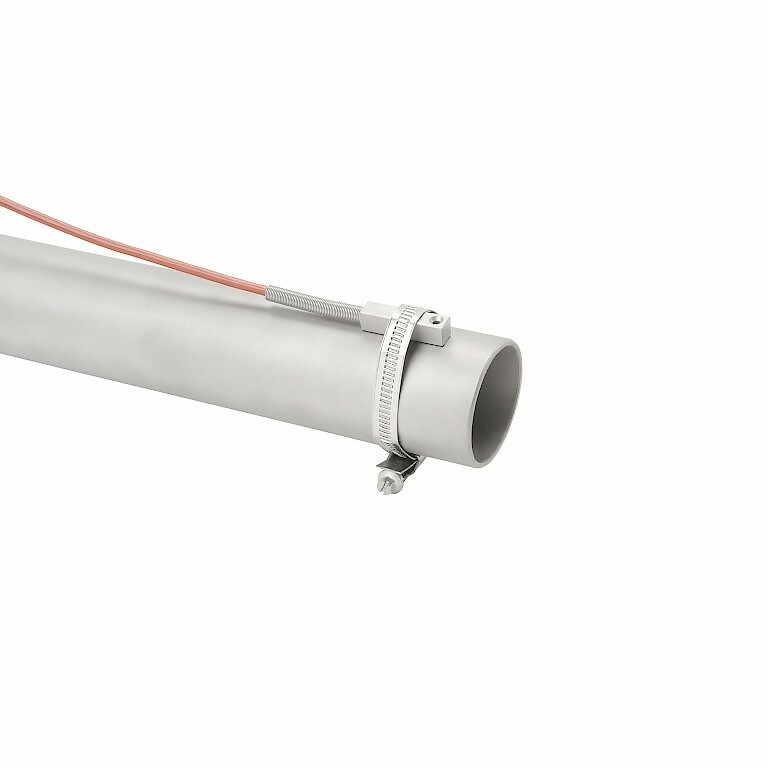 The energy meter can be used with a variety of pipe sizes for 10mm to 6000mm. 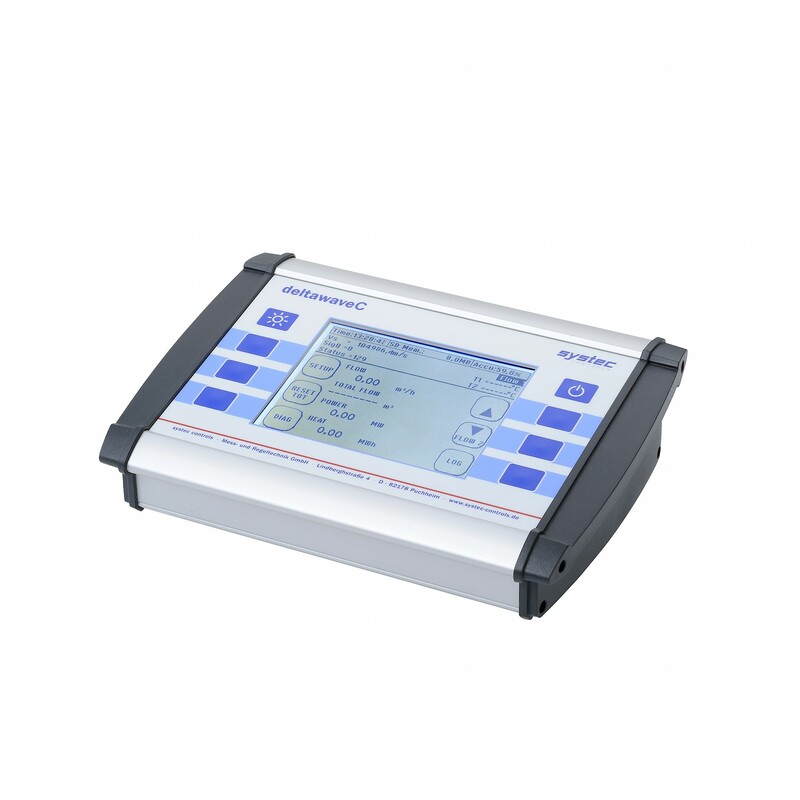 Other standard features on the portable energy meter include on board 2 GB data logging, PT100 temperature input for energy measurement, 4 - 20 mA and relay outputs. Optional accessories include a wall thickness gauge. The Deltawave comes supplied as a complete test kit all included within a carry case. 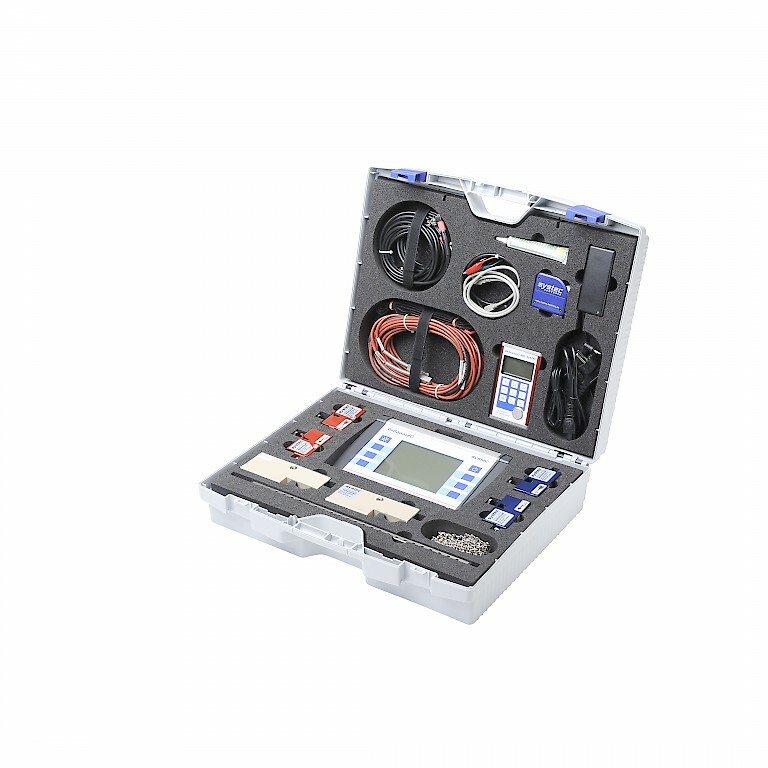 The kit consists of the meter, temperature sensors, various flow transducers for different pipe sizes, a mains charger and optional wall thickness gauge. 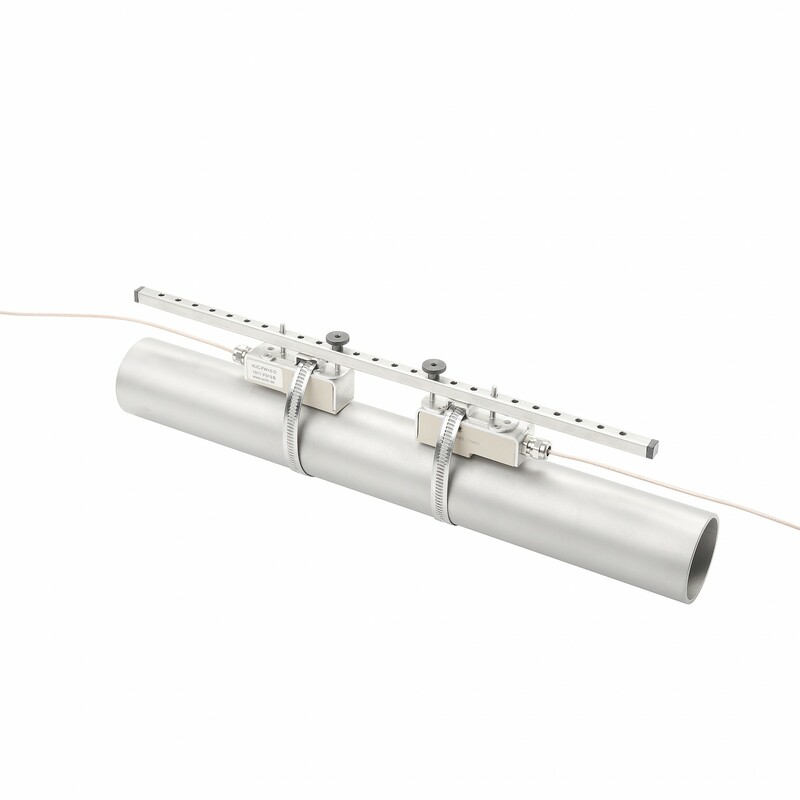 The Deltawave is available with three transducer options for clamping onto the outside of the pipe to measure the flow rate, each is dependent on line size. The "F20" option is for the smallest pipe sizes and the ultra-sonic flow transducers can be clamped onto pipes sizes from DN10 to DN100. The "F10" clamp on transducers can be used for more general pipe sizes, in the range of DN32 to DN400 pipes, whilst the "F05" large pipe flow transducers can be used with pipe sizes from DN200 to DN6000. 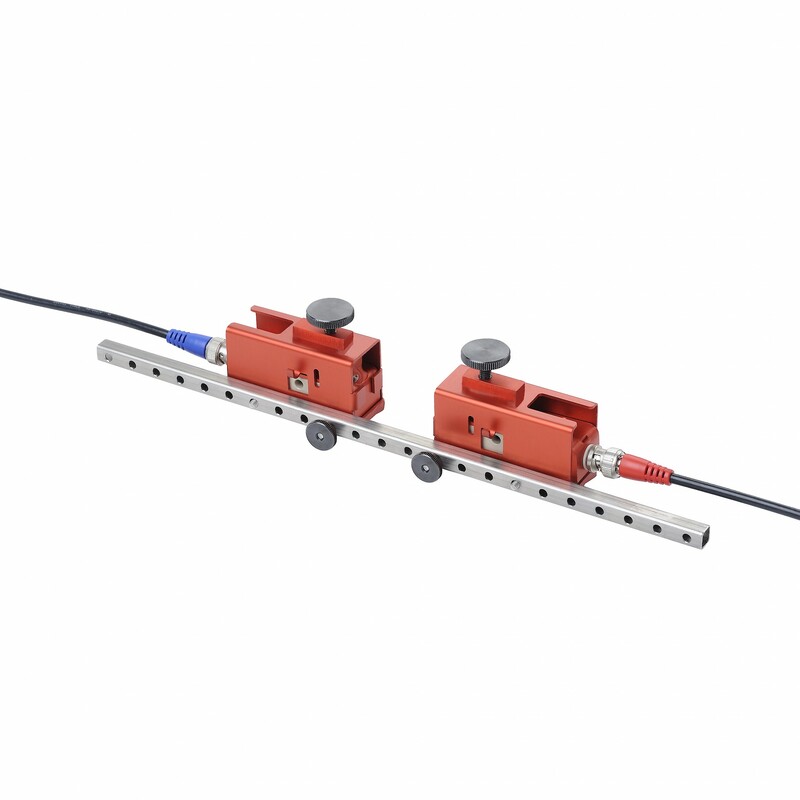 The Deltawave has an on-board "Quick Setup" which allows you to easily and quickly enter required information about the flow measurement you wish to make. This results in the meter being ready for measurement in less than one minute, if you get stuck the meter also includes on-line help. 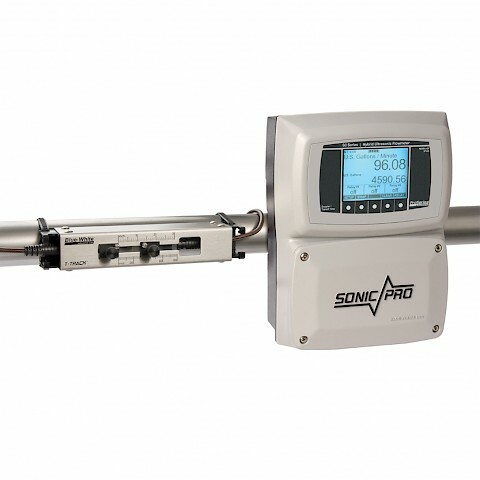 Accuracy of the portable clamp on ultrasonic flow meter is up to 1% of reading.